New Village Brewery presents Alisa E. Mike on Friday April 26. 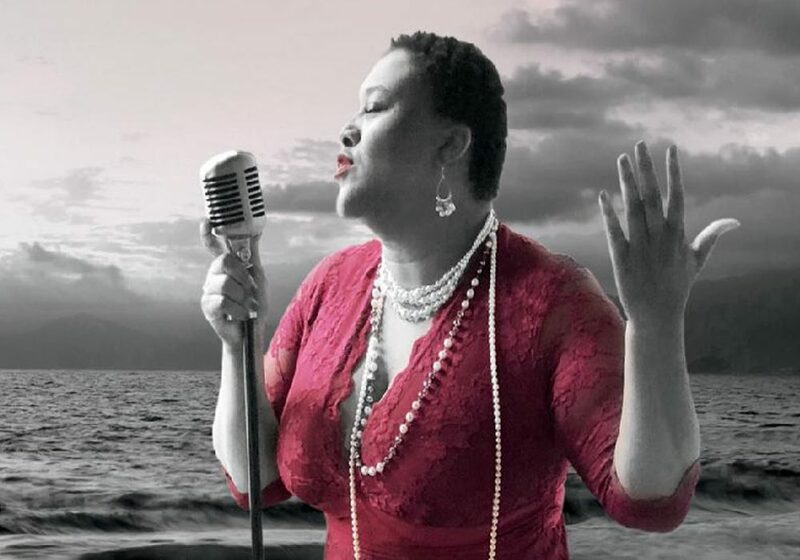 The New Bern-based vocalist has attracted fans for her interpretation of jazz standards, blues, Motown, rock and even classical. See and hear ‘s A M Serenades for yourself – Alisa Mike is on the Brewery’s Garden stage from 5:30p til 7:30p. That’s part of a fundraiser for Pamlico Parkinson’s Network, the support-group for people living with Parkinson’s in – and near – Pamlico County. Flirting With Fire Mobile Wood Fired Pizza Truck will be serving up the pies all day. The man behind the pizza, John Conklin is donating a portion of his proceeds to Pamlico Parkinson’s Network. And The New Village Brewery will donate $1 for every pint sold throughout the day. Music is free and all ages are welcome.